Cantillon Rosé de Gambrinus is back in stock. Get it while you can! Lukas was the very first retail wine & spirits store in the state of Missouri to ever carry this Award Winning Kentucky Straight Bourbon Whiskey. We believed in this brand when no one else did and have built it into our best-selling bourbon since 2005. Since December of 2005, we have sold over 7,900 (750ml) bottles and are just now closing in on selling our 8,000th bottle. That does not even count our 1.75L bottles. We have been hand-selecting our own barrels (two at a time) since 2008 with the help of our fantastic bourbon & whiskey connoisseur’s. Lukas is on par to do a record 6 full barrels, just this year! Much thanks to our loyal customers & the Buffalo Trace Distillery for making Lukas Wine & Spirits the #1 store for sales in Missouri, going on 6 years in a row now. For those who are typically late to the party, we know imitation is the best form of flattery. According to its producers, Double Cross is seven-times distilled and seven-times filtered and made using locally-grown winter wheat and mountain spring water sourced from 200-foot deep aquifers. In 2008, Double Cross won a gold medal for taste and a gold medal for package design at the San Francisco World Spirits Competition. Low Gap Whiskey is made by hand by Crispin Cain, who apprenticed with Hubert Germain-Robin, and has been distilling for 20 years. It is made from malted Bavarian wheat, fermented slowly, distilled using rigorous and painstaking craft methods, and brought to bottling proof with unfiltered rainwater. 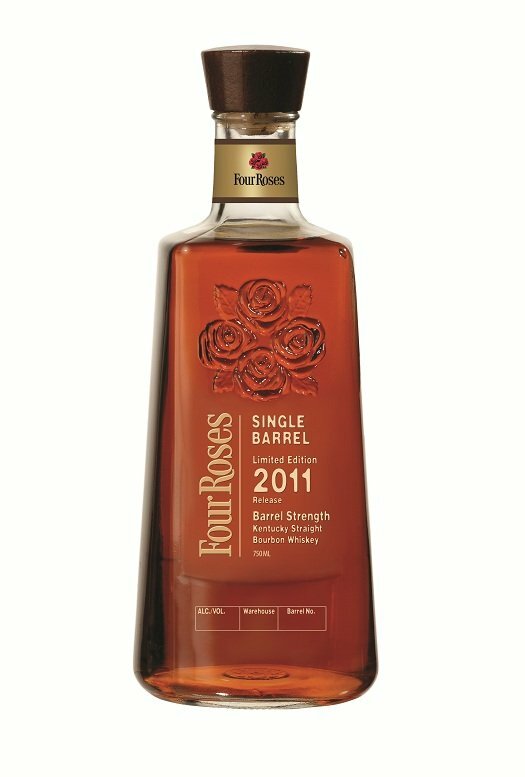 Four Roses is widely regarded as one of the best, if not the best, bourbon distillery in America. Their new 2011 release of their limited edition single barrel offering is a big, bold and utterly delicious whiskey. Fans of Wild Turkey will especially enjoy the cinnamon and spice notes evident in this bourbon, and this may be the best Four Roses Single Barrel offering yet. With only 3600 bottles being distributed in the United States, the biggest challenge for bourbon enthusiasts could be finding and purchasing a bottle before they are all gone. Grab your bottle of this very limited Bourbon today! Try the latest flavor of Pinnacle’s long line of vodka’s. A smooth vanilla cake finish makes this a delicious mixer. Featuring San Francisco’s outstanding spirit, cultural diversity and culinary tastes, ABSOLUT SF is a great mix of grape, dragon fruit and papaya. Sierra Nevada’s Best of Beer Camp 12 packs have arrived! They contain three of each of the four styles. Very limited – one per customer.